Head Start QuickSource® reminds us that "When math is presented in a fun and creative way, teachers provide children with the opportunity to develop abstract reasoning skills, learn complex math concepts, and create solutions to real-life problems." Here's an activity called Number Collage that combines math with art to increase children's awareness of numerals and quantities in an exciting and creative way. This activity can be used to focus on individual number learning by giving all of the children the same number, or you can focus on the numbers 1-10 by giving the children different numbers to collage. Cover a table with newspaper or butcher paper to facilitate clean-up. 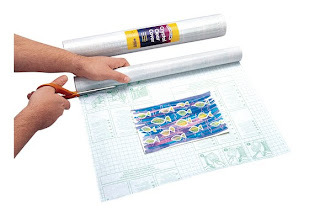 Draw a large number outline, about 2" wide, on the poster board using a marker. Make one number poster for each child. 1) Invite the children to the art table. 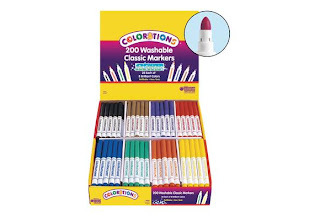 Be sure that each child has easy access to the collage materials and the glue. 2) Hold up the number poster and ask the children to identify the number. 3) Give each child a number poster. 4) Explain that each child will be making a number collage by counting out collage materials to match the number on his or her poster. For example, if a child has the number four, he or she will select four foam shapes, four feathers, four beads, etc. 5) Once the children have selected their collage materials, and they are happy with their placement on their poster, have them glue the materials to the number. 6) Once the collage is dry, cut out the numbers with scissors, and hang on them on a bulletin board for further counting practice. Furthermore...This activity can be repeated for alphabet learning. Instead of numbers, provide each child with a letter, perhaps the first letter of his or her name, and collage pictures of items that begin with that letter. 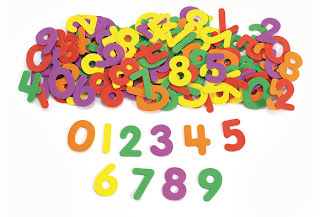 If using POCET™, this activity correlates to Developmental Guidelines: MA1: Can Explore with Materials, MA5: Shows 1-to-1 Correspondence and Recognizes the Manyness of Sets, and MA7: Demonstrates Understanding and Recognition of Numerals 0-9. Preschoolers need lots of sensory activities. 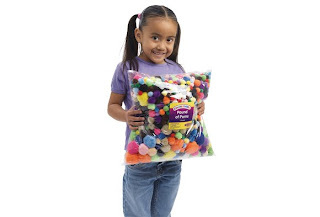 Preschool QuickSource® reminds us that "fine motor activities exercise small muscles. [And] to help children develop their fine motor skills, [we should] create activities that involve hand-eye coordination." Here's a simple sensory activity that's great for a developing dexterity and control called Sparkling Sensory. 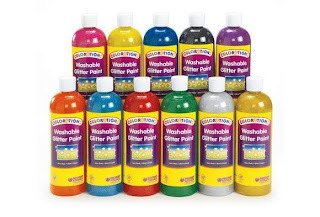 Before you start gather your supplies: You'll need colored glitter paint and repositional clear paper. 2) Pour the glitter paint on the surface. 3) Cover with repositioning clear paper. 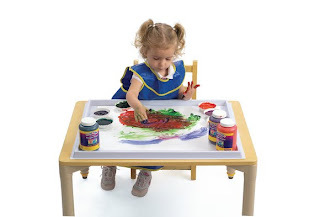 4) Encourage your preschoolers to touch the surface. This is a great tactile experience and a mess-free way for preschoolers to develop fine motor skills. Futhermore: Smooth out the bubbles in the repositional clear paper, and encourage the children to do the same, further developing their sense of touch and fine motor dexterity. If using POCET™, this activity correlates to Developmental Guideline: PH2: Begins to Show Fine Motor Dexterity and Control.